What is Asana for Confluence? 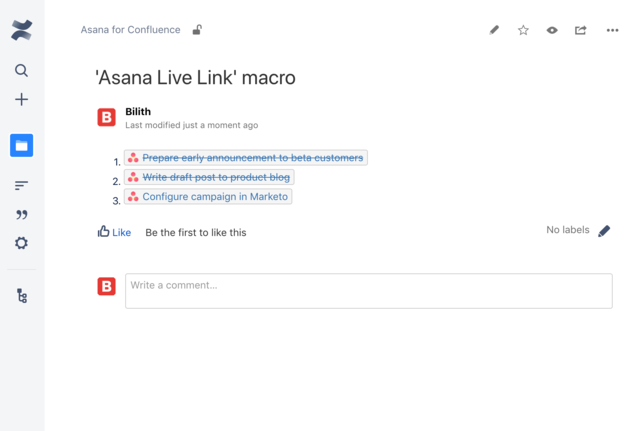 Using Confluence page macros, you can embed live links to Asana tasks and projects. 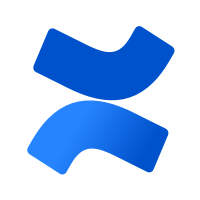 It works with both cloud and server versions of Confluence. Install the ‘Asana for Confluence’ app from the built-in Confluence apps manager. Open a Confluence page in edit mode and select ‘Asana Live Link’ or ‘Embedded Asana Project’ macro. Paste the link into an Asana task or project in the macro editor and close the dialog.